Big Hairy Audacious Goals - How the company created the BHAG “Happy living for everyone... except for the British”. Level 5 leadership - How Maarten scaled the team from 25 to 1500 through applying and demonstrating what Jim Collins calls Level 5 leadership. Level 5 leadership is not just about humility and modesty, but is also about ferocious resolve, an almost stoic determination to do whatever needs to be done to make the company great. Transparency - To be really transparent you need to be totally open about all the details of the business. This is the reason why Guidion has an employee sit in on the Monday weekly management meetings. Guidion also uses an 8 minute daily huddle with 200 people to ensure that all the employees know as much as about the company as they can in order for them to be able to make informed decisions and take appropriate action. P.E.R.M.A Model - How Maarten uses Professor Martin Seligman’s PERMA theory of how happiness is built up and has applied it to the way the culture is viewed and implemented at Guidion. Mistakes the senior management team have made like the “Mistake of the Month” award. Maarten Roerink is the CEO of Guidion, a company that can best be described as a Mechanic-as-a-service business. 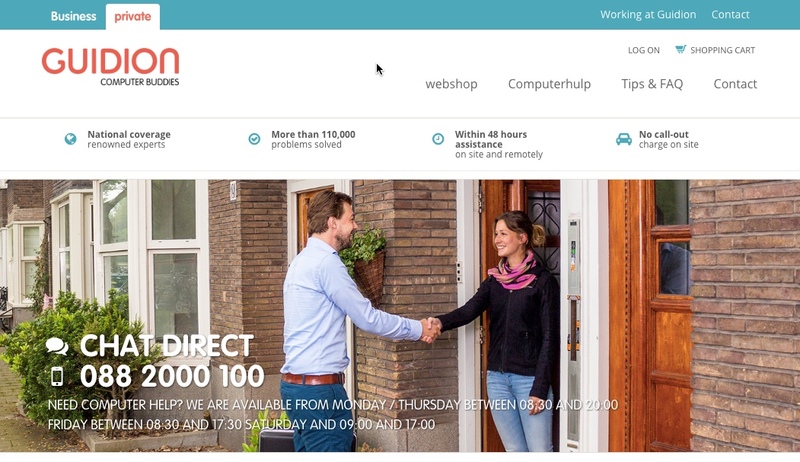 The company is headquartered in Amsterdam and works together with its partners to offer technical home improvement services to more than 700,000 customers annually. Maarten joined when the team was 25 and has grown it to 1500 through applying and demonstrating Level 5 leadership. We discussed how when he joined the company he was completely uninterested in the business model, salary, bonus, benefits or stock options, and was more interested in the people, the culture and above all in the adventure of creating a great company. When and how did you come to join Guidion? Two executives who wanted to leave their corporate jobs founded Guidion in 2005. I joined in 2008 after working at KPN where my last role was responsible for building an internal start-up. I decided to leave the corporate environment of KPN where at that time decisions were made based on politics, power and status, never about the customer or the product. I am not the type of person who wants to fight for, or needs power or status, because it’s a pointless waste of energy. After KPN I decided to invest in a few sessions with a coach to better understand what type of environment would be the right fit for me and what I should be looking for in my next role. We had a very open, honest and quite vulnerable conversation, which clarified what I was looking for. The two criteria for my next role were. I first met and interviewed with one of the original founders of Guidion and the interview with her left a lasting impression on me. It came through very clearly that the focus of the business was on the people, I totally trusted her and bought into her vision. Even though I had a set of golden handcuffs at KPN I knew that I wanted to join a company where there was more risk but also more potential reward. I wasn’t interested in the typical things like business model, salary, bonus, benefits or stock options. I was more interested in the people and the culture and above all in the adventure of creating a great company together. How did you build the business in the early days when cash was tight? The co-founders chose to adopt Verne Harnish’s management philosophy, which he details in Scale Up. It’s one of a number of methodologies you can utilize to grow from a small company into a large business and one of the areas that he focuses on is people and culture. This was important to us because in the early days we didn’t have a lot of money, so we paid low salaries and therefore had to make extensive use of interns and students. The challenge at the time was how to attract and retain good people; the solution was to make them happy. Our solution was to create a dynamic and interesting company culture and environment where our people could be happy and feel fulfilled in their jobs. How did the company develop after you joined? When I joined there were a couple full time employees and another 20 interns or students in the team. The founders had developed a rapid international expansion strategy with the aim of expanding into 6 countries across Europe simultaneously. They first brought in another co-MD to run the local business. Shortly thereafter I joined and the founders focused on the international roll out. At the time the co-MD and myself were the only people above the age of 30 and the average age of everyone else was 22. It turned out that the Dutch business thrived but that the international expansion plan was too bold, aggressive and expensive, which resulted in the two co-founders leaving the business to start other companies. At the time we started to grow rapidly and didn’t have a typical division of roles. I also had to grow in how I behaved as a leader. I don’t like to take credit instead I prefer to give it and I will happily give up the CEO leadership position if that’s the right thing for the company. I realized though that I needed to step up and be more decisive and that we needed to strengthen the senior management team. Finding the right skills, experience and cultural match for all of those roles was especially important as they would become examples of living our culture as well as the guardians of our culture. It is always important to ensure that the culture fit is strong for all new hires, but with these roles I knew it was critical. We are now very clear about our company culture and values and it has become a relentless focus for us to make sure that new candidates fit with our culture and values. I now have developed a more open and transparent leadership style than back then. To be really transparent you need to be able to admit your mistakes and be open about the details of the business – like what people are getting paid. Every employee should know as much as they can about the company because they can then make informed decisions versus having to ask their manager for the information they need to be able to make a decision. To make the right decision you need to have all the available information to hand and we are trying to build a self-steering organization as much as possible. An organization where everybody can make the right decisions at any level. As leaders at Guidion it’s our responsibility to make sure they have that information and then they won’t need to work up an unnecessary hierarchical structure in search of the relevant information. From a couple of full time employees and twenty interns we have now grown to 1500 people working for the company. 500 of those are working in our office as employees and 1000 are contractors or small businesses that we partner with. How does Guidion make a difference as a business? We specialize in onsite services, installing, maintaining and repairing solar systems, heating systems, smart meters, set top boxes, internet solutions, security systems, e-health care devices and anything else to do with people’s home equipment maintenance. We make a difference to the quality of people’s lives by making sure that the solar system or the set top box is installed and working properly and hassle free. And above all that they know how to get the most out of it. We remove the technical challenge associated with people’s homes and we contribute to happy living. What catalyzed your thinking around business happiness? We realized in the initial stages that a happy and fulfilling environment would help us retain good people. I also started reading about and became a real believer in positive psychology and even appointed a chief happiness officer after reading “Delivering Happiness” by Tony Hsieh. We decided to really bring the fun aspect of happiness alive in the company. We have lots of parties and it’s possible to do something social pretty much every night at Guidion. At Guidion your social life can’t be boring. Through reading more about positive psychology I came across Professor Martin Seligman’s PERMA theory of how happiness is built up for any person. We applied it to the way we viewed our culture. I believe that the five elements of P.E.R.M.A. need to be demonstrated and active in the company to create an environment where your people can be happy. In the early days we had Positive Emotions in spades with lots of parties and celebrations. We realized that we had to work on Meaning, which was lacking in the business. Meaning is all about purpose - your people ask themselves “why is my work relevant?” As a company we decided to spend some time digging into our core purpose and our company’s relevance to society. What mistakes have you made while trying to improve the culture at Guidion? We have tried a number of things that worked and others that didn’t. The great thing about a company like Guidion is if you make a mistake it doesn’t cost you your job like it would have done at KPN. The way I look at it is making mistakes simply increases your learning velocity and that’s what every business needs – people to make decisions, take action, learn and adapt quickly. One of the bigger mistakes we made was around the area of Positive Emotion. We felt, at the management level, that we weren’t being totally honest about the mistakes that were being made in the company. There was too much positivity and it wasn’t balanced with enough reality. It felt like we were hiding our mistakes and celebrating our triumphs and we thought that recognizing our mistakes would result in a stronger culture. In order to “fix” this we created the “Mistake of the Month” award. We would celebrate our biggest mistakes at an event and learn from them. So we got 200 staff together in the canteen and asked them to come forward and share their biggest mistakes, so that we could learn from those mistakes and hence improve the business and ourselves. This turned out to be a step too far for our team because nobody came up to discuss their mistakes. We tried to seed the process by getting some of the senior executives to admit their mistakes first but that didn’t work either. Our people felt there wasn’t yet a safe enough environment to step up and admit you mistake. We realized that it wasn’t going to fly, so we got rid of it. As a management team we reflected and realized that we hadn’t seen our culture for what it really was and that trying to force the mistakes idea onto the company was not the right approach. First we had to invest in building trust. How do you encourage your team to live the culture at Guidion? We do a lot to embed and reinforce the culture and regular communication is key. We have a daily huddle with about 200 people at our head office, which is everyone except the people who have to man the phones. We help almost 700,000 customers per year so we need to have people manning the phones. The daily huddle is an opportunity for our staff to step up and be responsible for organizing it and learning to speak in front of large audiences. If you are keen to learn to be a better public speaker and organizer of events you can volunteer as the ringmaster of the daily huddle and be responsible for the smooth running of the huddle for that day. As ringmaster the job is to set up the mics, get the presentation ready, sort out the screens and so on. The ringmaster starts the two-minute countdown, makes sure it happens on time and lasts for no longer than 8 minutes. He or she starts each huddle by introducing any new employees who have joined the company and each new employee steps up onto the stage, says their name, the team that they work in and an interesting fact about themselves. Next the ringmaster will talk about any company news, like any new contracts won or partnerships formed and then anything specific for that day. Every day has a special theme. Every Monday for instance one of the four leaders will be involved in the huddle to say something about the company strategy, culture or personnel. The daily huddle helps us stimulate continuous feedback, which is one of our aims. Along the same communication is key vain, I believe in the power of transparency and distributing information rapidly. This is the reason why we have an employee sit in on our Monday weekly management meetings. This came about when I was asked what I did as CEO and what we discussed in our meetings. Because the meetings were behind closed doors and never reported on, people were naturally assuming all sorts of things and that could easily have hindered our progress as a business. So in the interests of transparency we invited an employee to join us at the meeting. Every 6 months a new employee is chosen to sit in on the meetings. Their role is to listen, give feedback to us as leaders and write up a transcript of the meeting and post it on an internal platform we have built called Sonar. Within a few minutes everybody can see what we are discussing and why it’s relevant. For that colleague it’s a great learning experience. The process is also incredibly valuable when we have had a good week or there has been positive feedback about a specific employee in a team. We are trying to drive the company towards a environment of transparency because transparency means that people are able, and empowered, to make decisions on all the information they have at hand. On the first Friday of the month we celebrate the employee of the month in the daily huddle. At any point in the month you can nominate a colleague to be employee of the month. The person with the most nominations that month wins and can choose a prize and the comments and compliments they received are read out aloud to the entire company. If you were nominated but didn’t win you will still be informed that you were nominated and will get the comments and compliments from the nominations. All of the feedback is posted to Sonar, which is quite similar to Facebook. We find that the employee of the month award is a very powerful way to stimulate the giving of feedback and the excellence in the company. Sonar is where we share positive feedback, ideas, results, updates and other culture enhancing information. What’s your approach to retaining your culture as you internationalize the company? The German company is still in its infancy but we believe that the German office should build its own culture relevant to the people in the office. We respect that there are cultural differences that need to be taken into account. In the Netherlands, for example, everybody speaks English as a first or second language so the meetings can be held in English. In Germany that’s not the case and the meetings are held in German. But there’s a unique way of working within Guidion that’s created our success. That’s at the core of who we are. It’s not negotiable and will be the same whether you’re in one country or another. For instance our 4 core values have to remain the same for every new country we open. When last did you review your values? We interviewed our staff at the end of 2015 and realized that they felt that our company didn’t have a clear meaning – basically our purpose wasn’t clear. A company’s purpose should be something you can never achieve but at the same time is inspirational and gives meaning to what you and your people do on a daily basis. One of our values is Happy to Help. We serve 3000 people on any given day and helping people is the essence of what we do. We wanted to create a Happy to Help crew who had to review and think about our core values and make them stronger. We asked people to volunteer for the Happy to Help Crew and got over 100 volunteers, which blew us away. At the time our BHAG was a commercial revenue target for 2020 focused mainly around the number of people we would have helped by 2020. We realized that this was a mistake in that it was not a particularly inspiring BHAG and so a team set out to create a purpose driven BHAG. They spoke to lots of the people in the company and created work groups with external people to think more about the future and where the world is heading. We are still in the process of translating what this really means to us. The question is around how we as a company are adding to the happiness of living in your house. Obviously we are realistic and understand that pure happiness is sitting together with your young son or daughter reading them a story, we can’t and don’t want to compete with that level of happiness, but we can make your general happiness at home better. How do you feel when your internet goes down or your heating doesn’t work? Most people feel pretty unhappy and if we can solve those issues quickly and efficiently we can make the general state of happiness in your home better. We also are looking further, to add value beyond the home to the societies we work in and have been thinking about the societal factors of what we do and how that impacts our purpose and meaning. There are bigger themes in the Netherlands and other European counties. That we have to consider People are getting older and the cost of healthcare is rising. People will be living in their houses for longer so the question is what can we do to make them happier so that they can chose to stay in their home versus go to a care home. How can we help them not feel lonely? We are also thinking about how we can help with the refugee situation. As you can see we are in the middle of defining our purpose and meaning, its not nailed down yet. The first round of the interview is all about culture fit. We chose a group of people in our team who were clear examples of living our culture and have trained them to be effective first round interviewers. The first round’s not about the job skills and experience, its all about you as a person and whether you fit with the company values and culture or not. We are becoming a popular employer brand in Netherlands and our brand recognition as a top employer is growing. We now have more people applying to our vacancies than ever before so we are looking into how we can use technology to automate some of this at the moment. How does the culture change at Guidion? 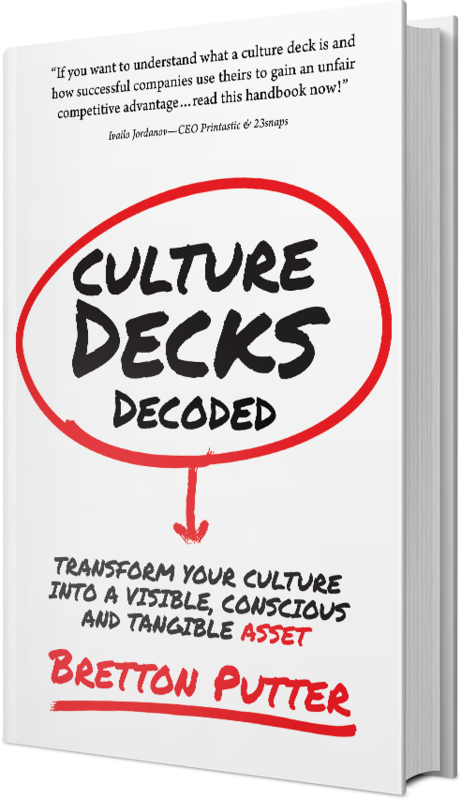 Culture is continuously evolving over time. If your culture is just standing still then, then I believe that there are problems in your business. Some parts of the culture do stay really strong and are core but the culture will still evolve over time with every person leaving or new person joining a company.